Every review I write has many man-hours of work put into it—many times more than what goes into a typical review that you see on other sites. If I recommend the best product for you, and you purchase through the “buy here” link I receive a small commission from the retailer when you make that purchase. If the product was not the right one for you and you return it, I make nothing. I think that’s a fair system. Have I helped you? You are welcome to support the work here in the following ways. – You can support my work here by simply reading and buying the products that are the best for you through the links on the review pages or through the store links below. When you click on the buy links here and then purchase something at that website I make a small commission from that sale. – If would you like to buy from your local dealer or store that I don’t link to but still want to support TodaysMower just click on the following link and buy anything you need. I’ll make a small commission from the sale. Buy at Amazon. TodaysMower.com is a participant in the Amazon Services LLC Associates Program, and we get a commission on purchases made through our links. – If I have helped you tell your friends about the site. If you end up buying through your local dealer instead of these links that’s all right – just tell your friends about this site. That’s payment enough. – You can also use your favorite social site like Facebook, Twitter, LinkedIn, Google+ and Pinterest to spread the word about Todaysmower.com and Movingsnow.com. You are welcome to like the News From TodaysMower and MovingSnow Facebook page. If you would like to support the work I do here directly you may use this link: PayPal/PaulSikkema. Money collected through PayPal will only be used to improve the experience on this site and purchase demos for testing and review. PayPal does not charge a fee for this transaction so any amount is always appreciated. I make enough commissions from the many of you buying the products I recommend and by using the links below to buy other products you need though Amazon. So may I suggest donating to worthy cause instead? If you would still like to donate I have picked two non-profits that I fully trust. I know there are a million other non-profits out there that also need our help but these two in particular help people directly with two fundamental things every family in America wants. A good home and a good job. Habitat For Humanity – Grundy-Three Rivers : (disclosure – my daughter is the Executive Director) Morris/Grundy Community Pulse Article. 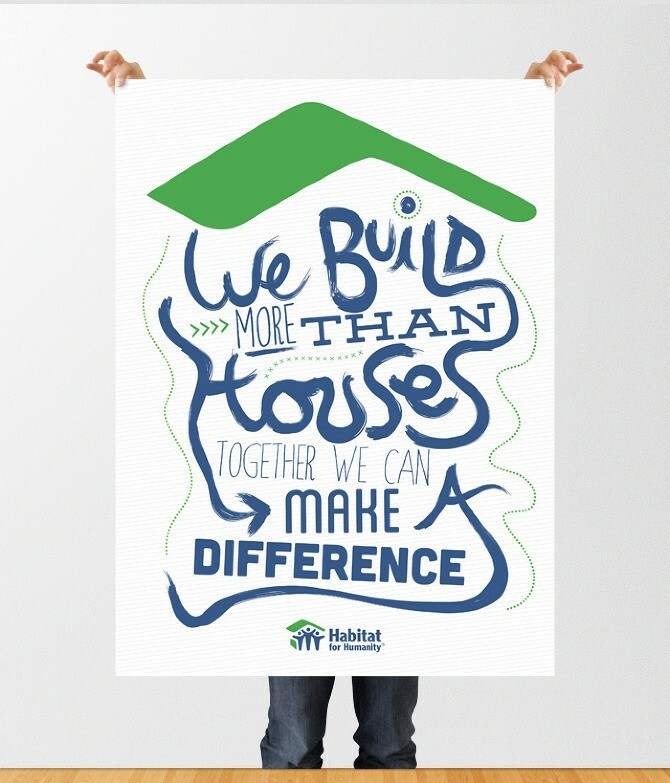 I highly recommend helping out Habitat For Humanity: Even a dollar helps! Anytime you are in the Morris/Grundy County, Il area (just south of Chicago) You can go and see what this organization is doing with your donations. For 20 years now they have been making a real difference in peoples lives. Mike Rowe Works. I taught electricians and their supervisors for over 15 years so I’m a huge fan of Mike Rowe’s efforts in Vocational Education. The mikeroweWORKS Foundation is a 501(c)(3) public charity that rewards people with a passion to get trained for skilled jobs that actually exist. I will only send you to a retailer that I trust. I only trust retailers that I have purchased from myself and have had a great experience with the entire process of buying through them. If you ever have a question about these companies or a website link not listed on this page feel free to ask. You’ll notice I usually link to Amazon for making many purchases. I have been an Amazon Prime user for years and many, many readers have also purchased through Amazon with stellar results. Yes, many people are now buying snow blowers and tractors through Amazon and have had wonderful results. In fact many of the major brands like Husqvarna, Troy-Bilt and Poulan Pro are now using Amazon as one of the primary ways to get you the products you want when you want them. Because of the convenience of Amazon Prime’s free two-day shipping and Amazon’s great customer service I think it’s among the most trusted ways to shop online. I’ll go so far to say that 99o out of 1000 people who have purchased products through Amazon on my sites agree. If you’d like to support my sites outside of buying a recommended product you can do so by shopping through any of the following links. I have used Amazon Prime’s Service with its flat rate two day shipping and the included video streaming service. If you’re interested in supporting our work and trying out Prime, which usually costs $99 a year, you can try out a 30 day free trial through this banner below. I do my own in-house testing but I also trust the reviews from ConsumerSearch, Consumer Reports (subscription required) and The SweetHome. Feel free to visit their sites and support them anytime. I also do interviews, make phone calls, write emails and consult manufacturer’s websites to make my decisions. Many of the brands now have not only their sales websites but also parts listings, operators manuals and troubleshooting guides online. This non-sales information is invaluable when researching my reviews and distilling the facts from the marketing. I’m not going to list all of those resources here but thank you to all the owners and employees of all the Brands, Manufactures and Dealers who help me to make this site’s information accurate. Note: When you click on these logos and purchase an item on that site I make a small commission from the sale. Finally, When a review has been on the website for more than 90 days you will notice advertising at the top and the bottom of the article. These are called Google Adsense ads and they allow me to make a little money from these historical reviews. I do not control the ads inside of these boxes. I only control that the boxes are there. Please go here to read a Wikipedia explanation about Google Adsense.